Bij Lonely Planet begrijpen ze de wereld beter dan wie dan ook en dat is te lezen in deze Engelstalige pocket over Amsterdam. In alle reisgidsen worden de populairste, mooiste en meest zeldzame bezienswaardigheden uitgebreid beschreven en lees je tips om tijdens een citytrip naar Amsterdam de beste keuzes te maken. Amsterdam works its fairy-tale magic in many ways: via the gabled, Golden Age buildings; glinting, boat-filled canals; and especially the cosy, centuries-old brown cafés, where candles burn low and beers froth high. Add in mega art museums and cool street markets, and it's easy to see why this atmospheric city is one of Europe's most popular getaways. Special features include pull-out city map; full-colour, pocket-sized guidebook; the city's best walking tours. Soak up the artwork in the world's greatest Van Gogh museum, explore the medieval centre and the Royal Palace, or settle into a bruin café; all with your trusted travel companion. Get to the heart of Amsterdam and begin your journey now! Free, convenient pull-out Amsterdam map (included in print version), plus over 19 colour neighborhood maps. User-friendly layout with helpful icons, and organized by neighbourhood to help you pick the best spots to spend your time. 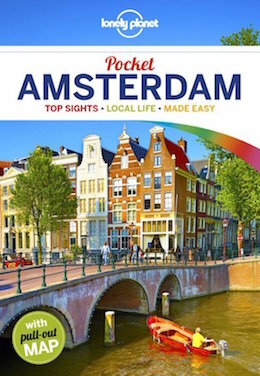 Coverage Includes: Medieval Centre & Red Light District, Nieuwmarkt, Plantage & the Eastern Islands, Western Canal Ring, Southern Canal Ring, Jordaan & the West, Vondelpark & the South, De Pijp, Oosterpark & East of the Amstel, Amsterdam Noord, and more.